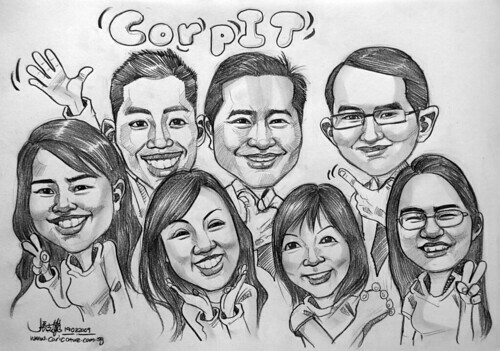 We will like to have a caricature done up for our boss’ farewell gift. There will be 7 people in total. The design will probably be like our boss in the middle flanked by the other 6, in a landscape format. ..... we are thinking of something similar to the “Babes in Ashurst” design."